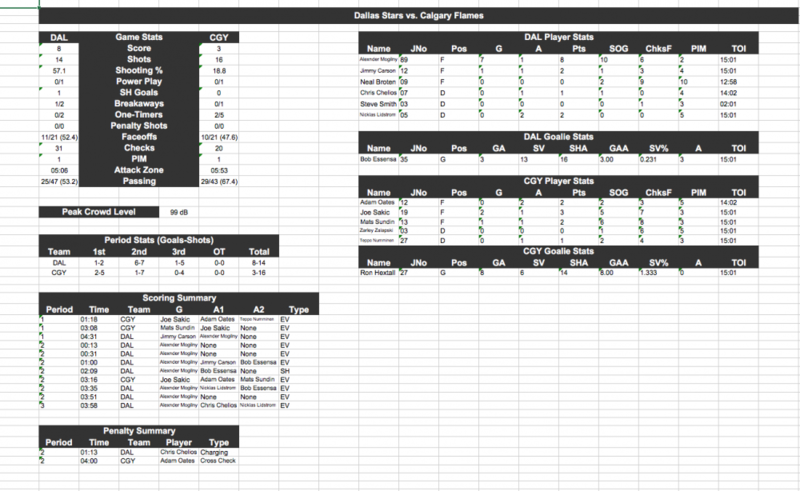 This tool, given a ROM and a save state (made at the appropriate time), will extract the data to an Excel-style (.xls) Spreadsheet similar to the box score on nhl94online.com. Very simple. Choose the ROM that you used to play the game. Enter the period length of the game that was played (default is 5 min, in increments of 1 min). Choose the save state to extract the stats from. Click on "Extract to XLS..." and a pop-up window will ask you where you would like to save the file to, and what you would like to name it. The program will extract the data to the spreadsheet. The .xls file can be opened with any spreadsheet program (MS Excel, OpenOffice Calc, Mac Numbers, etc). When making the save state, the save should be made when the "Three Stars" screen pops up, or the Final Game Summary Screen ("where you have the Exit Game option"). If anyone has any suggestions, please let me know. I will try to accommodate them. this is excellent work, although I cant get it working on my windows 7 home 64bit, I get the "NHL94 Stat extractor v0.1has stopped working"
will this support 30-32 team roms? Interesting, it works on mine. Let me check. Yes, I'm using the pointer table to get the home and away teams, so as long as that is correct it will work. Is it an issue with the installer or the program? Ahh, ok. Can you send me the save and the ROM so I can try it out? Nvm, I got the error. I will check it out. Found the problem lol, fix coming. OK, @slapshot67, I fixed it. New version in first post.